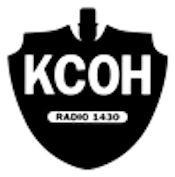 Update 3/1: KCOH moved its programming to 1230 this morning. Concurrently, La Promesa Foundation began operating 1430 with Catholic programming under the KSHJ call letters. Original Report 12/14: KCOH, Inc. has announced that its Black Talk 1430 KCOH Houston will relocate to 1230 in February. KCOH sold its 1430 signal in November to the La Promesa Foundation for $2,141,000 Million. La Promesa will relaunch 1430 with the Catholic Guadalupe Radio Network. 1230 is currently Regional Mexican “Radio Ranchito” KQUE owned by Liberman Broadcasting. The Houston Chronicle reports it will be leased to local businessman Jesse Dunn, who will move the KCOH calls and programming to 1230 when La Promesa takes over 1430. KCOH was the oldest African-American owned station in Texas. Its owner, Michael Petrizzo died in January at the age of 89 triggering this chain of events. After less than two years, Dr. Jesse Dunn is selling his interest in KCOH.